B & J wanted a variety of photos this spring, so we found a pretty outdoor location in between the rain and wind storms. 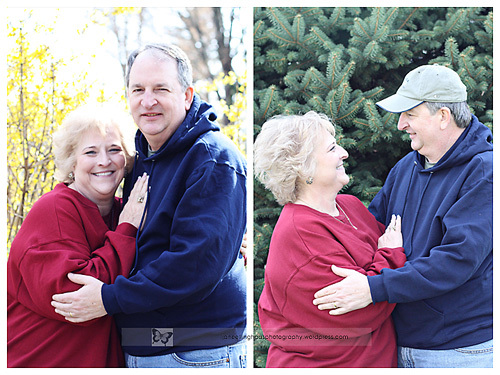 They’re a dear couple with great love for each other that shows through their natural photos. Except for a formal shot, no posing was allowed here! Thanks to both of you for letting me use my janeography time and talents with you and for you! This entry was posted in Collages, Couples, Families, Lifestyle, Relationships and tagged Couples, Families, natural light, Relationships, Spring Florals, St Louis area photographer of families and children. Bookmark the permalink. 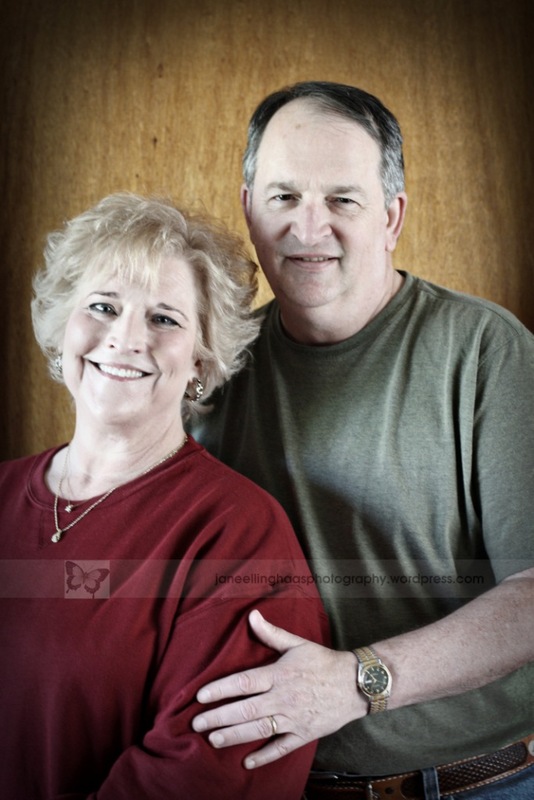 Nice pictures of Bob and Judy. Bob looks content…we’re happy for him.